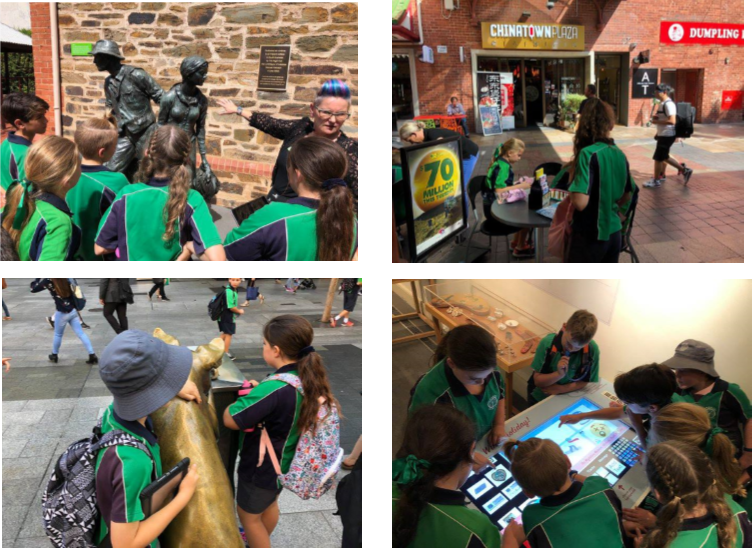 Last Friday 22 March the year 5s went to Adelaide to visit the Central Markets, the Migration Museum and Rundle Mall. Mr Tiller’s class caught the train into Adelaide and Mrs Kreymborg’s class travelled there on the new school bus. Coming home the classes swapped over transport. At the Adelaide Markets we saw lots of fresh foods from all over the world. There was German food, French food, Hungarian meat, Coffee beans from around the world, Italian cheese, Bitter Melon from Asia, Dragon Fruit from South East Asia, Chinese food and Hong Kong food. 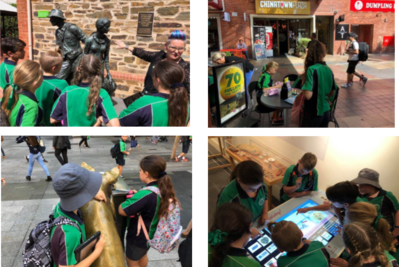 At the Migration Museum we learnt about the early settlers migration to Australia and the influence of migration on our current community. This was related to our Unit of Inquiry on “How society and history are influenced by migration”.